This weekend I have the pleasure of playing with not one, but two music pioneers. This Saturday night, I'll be playing with Javier Escovedo and the City Lights at the Tin Can Alehouse in Bankers Hill. Javier's early work with punk pioneers the Zeros, and later with Austin supergroup the True Believers, both assure him a place in the rock music history books. The most exhilarating thing for me, though, is that he's at the top of his game right now, and I'm very excited by his new music, which I think is some of his best work. Then on Sunday, I'm headed up to the Burger Records Fest at Los Globos in L.A., where I'll be playing with Gary Wilson as one of his Blind Dates. Last week on BBC Radio, rock legend Iggy Pop gave respect to the label, saying, "I have not heard anything I didn't like from Burger Records," and then played Cherry Glazerr's "Grilled Cheese". I'm very excited and grateful to be a part of this event, and --as always- for getting to be Gary's drummer. And just like Javier, although Gary gets respect for his past work, he is constantly creating top-notch material and gaining new, enthusiastic followers every day. 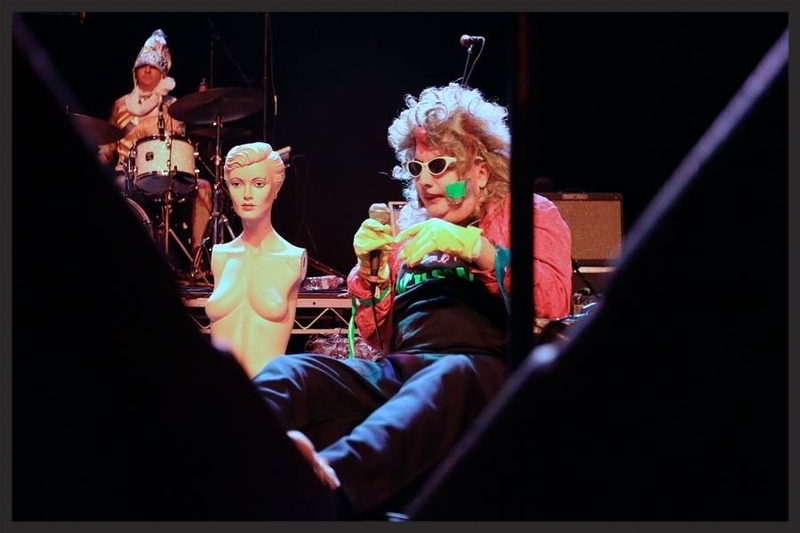 2014 has already shaped up to be an amazing year for Gary Wilson and the Blind Dates, and I think 2015 is going to be even better than that! More details on both these cool shows next week, and thanks for staying tuned in!